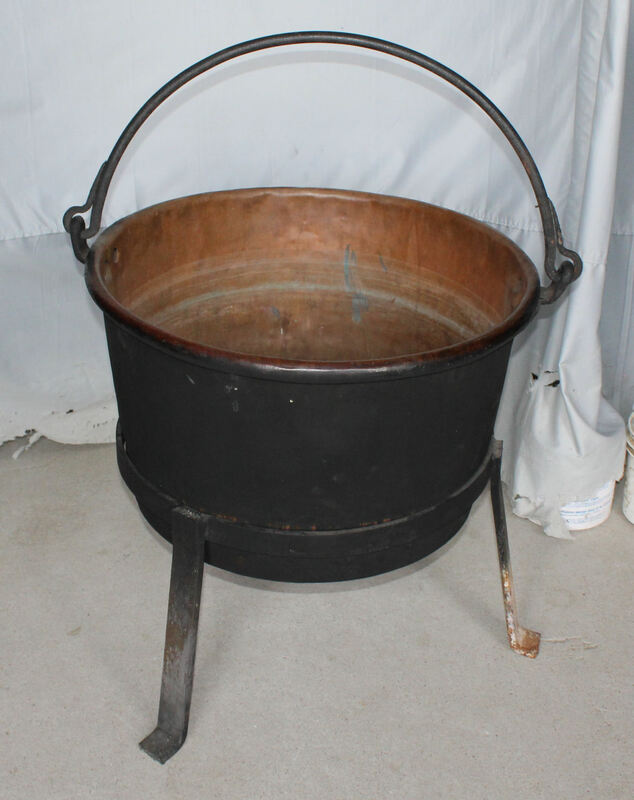 A large early 19th century riveted copper apple butter cauldron kettle with forged iron handle. This kettle has black soot on it from being used and someone has built an iron stand to hold this kettle over the years, and another unique find is the large wooden and horse hair cleaning brush that comes along with the kettle and stand. The kettle measures 26″ in diameter is 16 1/2″ high to the top edge of the kettle. When the kettle is in the stand they are 25 1/2″ high. The wooden horse hair brush is 30″ long and 5 1/2″ wide.